When looking for movers in Atlanta you can rely on, it is important to find a company that is established and has plenty of experience. Companies that have been serving a given area are likely more reliable and trustworthy than start-up companies without a proven reputation. It is your possessions and belongings that you need to have moved, and you owe it to yourself to do some research and choose movers who you can trust to not run fly-by-night operations. 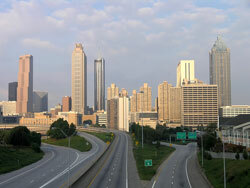 Since day one, our Atlanta movers have believed in offering professional moving services at fair, competitive prices. Whether you’re moving from one part of Atlanta to another, elsewhere in Georgia, or even across the country, Bulldog Movers is the company you can rely on for the moving and relocation services you need. Call or e-mail Bulldog today if you’d like our Atlanta movers to help you throughout your relocation process.